There is a quick and inexpensive way to have a beautiful stone fireplace without the expense of a full mortar fireplace. Using a pre-made fireplace insert you can frame a hearth around the unit and simply box it in. Finish your stone fireplace with flat stone applied to the sheathing. First decide what kind of fireplace you want to have. There are two basic types of cabin fireplaces you can choose for your log home and the choice comes down to the type of fuel used for the fire. This determines many different aspects of the design and construction of the fireplace. If you are using propane, you have the choice of a vent-free or direct vent unit. Vent-free means exactly what it says: there is no vent. The gas fireplace burns propane with such complete combustion that the only by-products are a little water vapor and a tiny amount of gases. 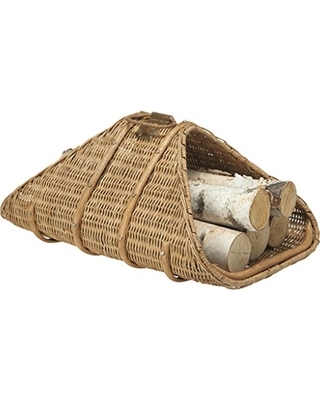 These are rated for use without any kind of chimney, but it’s not recommended that you use them in a bedroom where it’s conceivable the gases could build up while you’re sleeping and you wouldn’t notice. 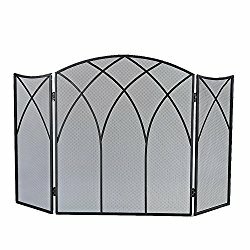 They are perfectly safe to use in a great room or dining room where there is a large amount of ambient air. Direct vent fireplaces use a flue or vent pipe to carry the exhaust gases directly to the outdoors. The vent pipe is double-walled, with the inside pipe carrying the hot exhaust gases to the outside and the outer pipe bringing in cooler outside combustion air. The cooler outer pipe also insulates the inner pipe. These fireplace units are zero-clearance, meaning that they can be installed right up against wood or other combustible materials without the usual clearances required by un-insulated wood fireplaces. You can buy wood-burning fireplace inserts that just need to be framed in place with standard clearances around the flue or chimney pipe. The fire boxes have offsets to hold it the required distance off the wall so you can just set it into place and bolt it down. Clearances around the flue or chimney are generally 2” minimum but check with local building codes. Large fireplace units use large-diameter flue pipes and these can make it difficult to maintain the required clearances if your roof is framed with rafters less than 24” on center. These fireplace units also bring in combustion air directly from the outside via ducts through the wall or roof. Wood-burning fireplace inserts still weigh a considerable amount. A 46” wide fireplace insert can weigh 750 lbs. so adequate support must be considered. Many people still believe it’s necessary to build up a stone fireplace with a full masonry base. This can weigh tons and be prohibitively expensive, requiring a solid foundation to carry the weight. Frame the fireplace insert and chimney chase with standard 2” x 4” lumber. This provides the basic framework. You will need to install a header over the top of the fireplace opening to support the sheathing. This is the time to consider what you will use for your mantle. 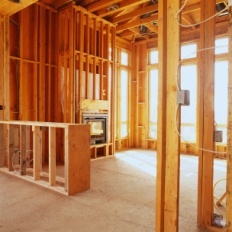 Plan on building in adequate support and backing to attach your mantle to the framing. Sheath the framing with ½” OSB or plywood. Covering the frame with sheathing ties the structure together and provides a flat working surface for the stone finish work. This is the best time to install the mantle. If it’s a log slab we often bolt it on from the back through the framing. We’ll leave off one panel of OSB to provide access to the back, then install that panel once the mantle has been installed. Cover the OSB or plywood sheathing with #15 builders felt. The felt keeps the OSB from wicking moisture out of the concrete prematurely. Just staple the felt up quickly since the next step will hold it in place securely. Cover your mantle with cardboard and plastic to protect it from the lath, concrete and stones in the following steps. Nail expanded wire lath over the felt. The nails provide a mechanical connection between the OSB and the concrete scratch coat. The lath gives the concrete something to bite into and hold. I use 1” galvanized roofing nails so the wide heads hold in the diamond mesh. Screws are very strong, too, and they make special wire lath screws with wide heads that don’t pull through the mesh openings. Put a scratch coat of concrete over the wire lath. This first coat anchors it together and gives the concrete holding the stones (in the next step) a solid backing. Don’t smooth it out. You want it to be rough to give the next layer something to grab. It’s called a scratch coat because you literally want to scratch it rough when you’re done with this coat. If you use real stone, set the stones flat so that they cover a larger area. Fill in the grout lines between the stones with mortar. Use a grout bag to squirt the mortar into the crevices and smooth it with a striking tool or even your fingers. You can tint the mortar different colors as well. Dark mortars show off lighter stone nicely. Plan your mantle attachment as you build the framing. Usually you can bolt the mantle into the framing from the back before the sheathing is completed and your stone fireplace is completed. Sometimes you may need to secure the mantle from the front and cover the holes used for attachment. Consult your local building codes for required clearances necessary for the mantle above the firebox opening. The deeper the mantle, the higher it needs to be set above the fireplace. This is a straightforward way to build a stone fireplace cheaply and quickly without needing a full masonry foundation. 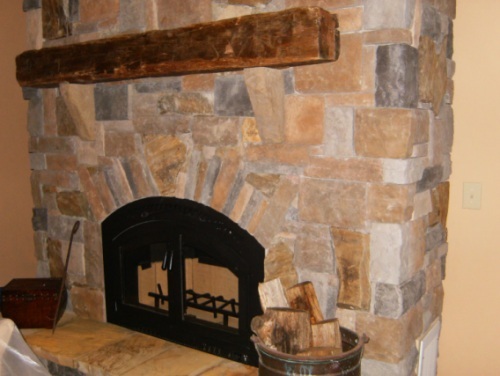 You can select almost any sort of stone that you want and build a gorgeous stone fireplace you can be proud of.